does anyone know what brand of speakers these are? The speaker brand is known as "Sonics". I remember, as a child, seeing them in a neighborhood store that sold some home appliances and furnishings. They sold for low prices as the pair in your pic were likely about $180.00 per pair, if that much. The screen driver covers are an after-thought add-on. 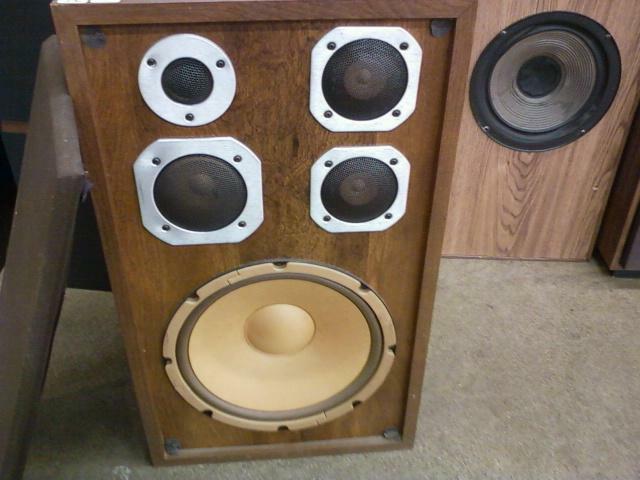 Sonic speakers gernerally came with brown cloth grills.